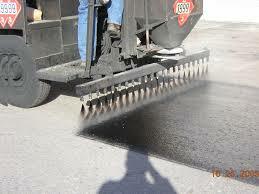 Asphalt Repairs - Paving Professionals, Inc.
Pavement repairs should be done only by an experienced company like ours. There are many signs of asphalt pavement deterioration. Some are due to loading, drainage issues, sub base issues, and alligator cracking due to age or bad drainage issues. Our team will extend the life term for you with a superior asphalt surface that can last for many years. Potholes usually begin after an alligator crack is not repaired. Potholes get bigger and larger as traffic drives over the pothole and the vehicles break the pavement and soil from the area creating a larger hole. 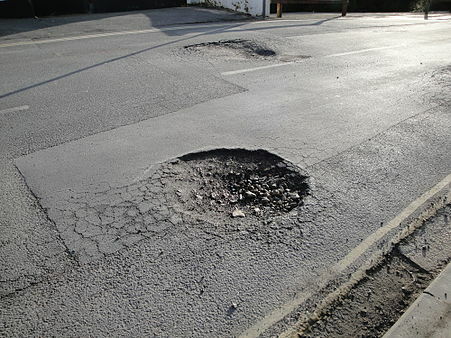 Potholes start after rain or snow gets below the road surface and moisture weakens the sub base or freezing surface. Potholes tend to occur more during the early spring as temperature rises and falls into the freeze-thaw cycles. Potholes are repaired by our company by cutting larger sections of pavement, removing the asphalt, and drying the area. Once the area is ready and the water is out, then an adhesive (tack) gets applied and asphalt is added in layers. The pavement is then added and compacted with a pavement roller. Our company has the right experience to repair potholes and work with the highest quality products to take care of pavement issues. 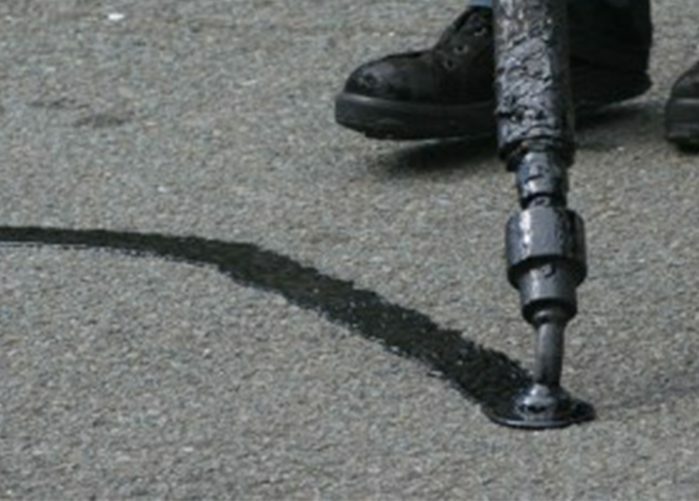 Crack sealing is one of the most common maintenance methods of asphalt pavement. It is a temporary method highly recommended for preventing moisture, oil, chemicals and vegetation from getting into the cracks and other surface voids. Our company will use the right tools and equipment to clean and dry the cracks and afterwards pour a hot-pour crack sealant. Pavement rejuvenation is a sealing process that softens the existing asphalt surface to heal minor cracking. 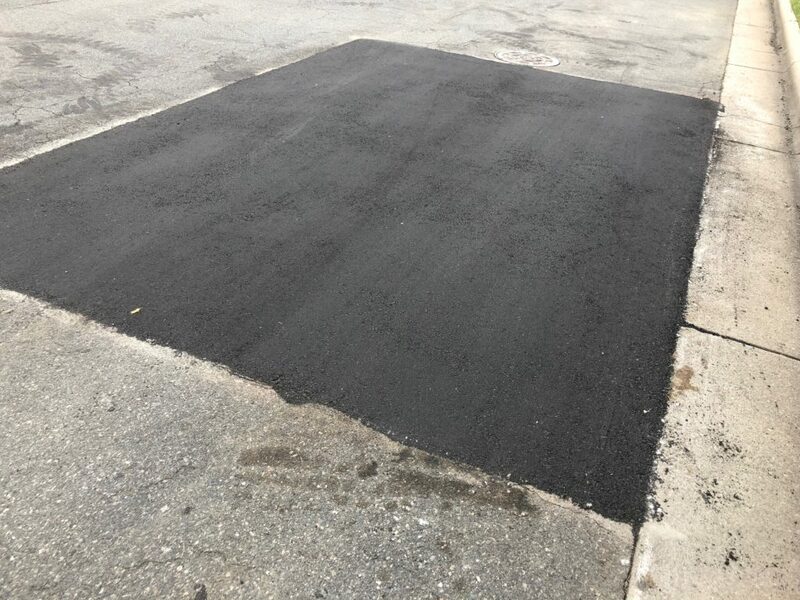 The rejuvenation process is aimed at the preservation of the asphalt material and the restoration of its natural qualities, extending a pavement’s service life. Rather than living with a damaged asphalt surface or gravel driveway, call today and see what Paving Professionals, Inc. can do for you. We service an area within a 70 mile radius of Raleigh, North Carolina. Including the Triangle Area, Raleigh, Durham, Garner, Apex, Cary, Fuquay Varina, Clayton, Chapel Hill, Willow Springs, Fayetteville, Pittsboro, Holly Springs, Wake Forest, Greensboro, Burlington, Goldsboro, Benson, Pinehurst, Rocky Mount, Wilson and Smithfield. Our goal at Paving Professionals, Inc. is to provide the highest quality work for a fair price. With over 60 years of experience, our team is one of the most experienced paving teams in the Raleigh Durham and Triangle area. Paving Professionals, Inc. | All Rights Reserved.